Mention the name Cape Dory to a fellow boater in southern New England waters and you just might get a knowing nod and a sea story. 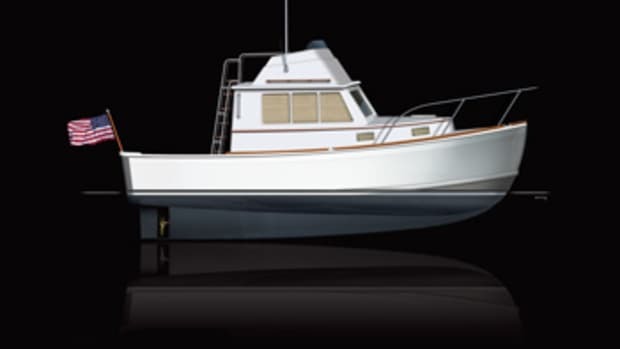 For nearly 30 years Cape Dory Yachts, the East Taunton, Mass., builder founded in 1963 by Andy Vavolotis, produced some of the best-handling, best-looking and most respected sailboats and powerboats, under the Cape Dory name. From the original 10-foot sailboat, the fleet expanded quickly, thanks largely to Carl Alberg, whose list of designs (Triton, Alberg 30, 35 and 37, to scratch the surface) have earned him high honors and the praise of cruising and racing sailors alike. 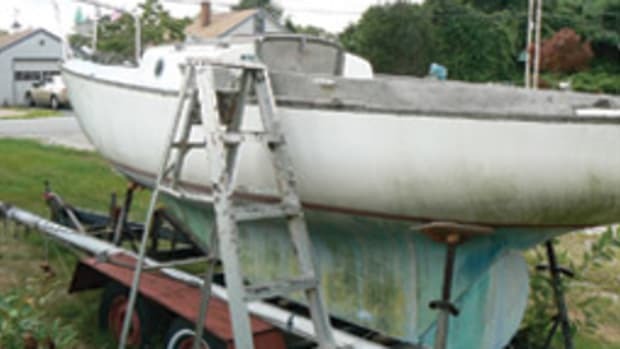 In all, some 2,800 Cape Dory sailboats and 300 pleasure powerboats came out of East Taunton from the early 1960s through 1991. 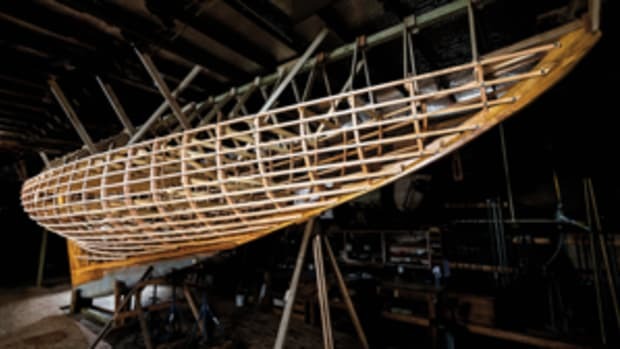 Alas, the builder is gone, but the boats linger on. Cape Dorys are found in harbors and marinas coast-to-coast, and an owner&apos;s association Web site keeps the Cape Dory faithful connected. One of the most enduring sailboat models from the Cape Dory/Alberg team is Typhoon, the venerable cuddy sloop. The virtues of the 18-foot, 6-inch daysailer/weekender (the two versions of the boat) which made it a favorite years ago still apply; it&apos;s small and sturdy, easy to sail, even single-handed, able to handle a blow (with its 900-pound keel) and versatile enough to day-sail or overnight. 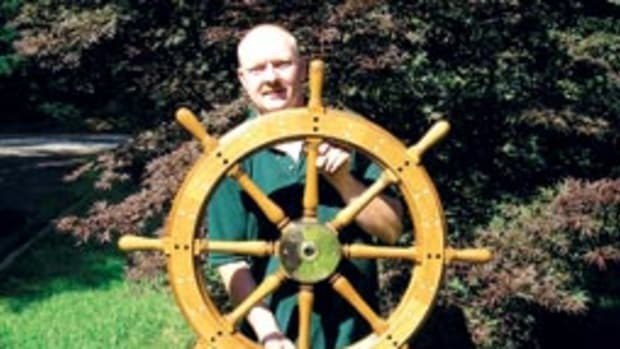 Frank Hall is a recent convert who came to the Typhoon during a long career of recreational sailing. 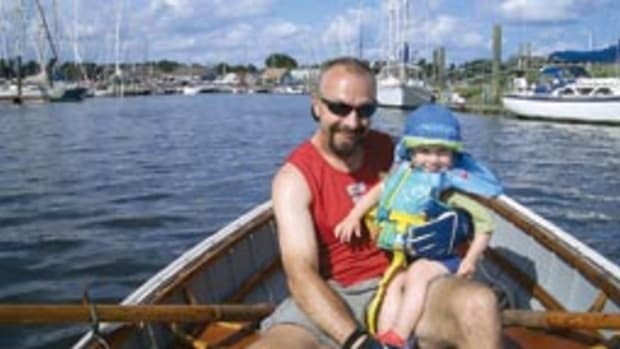 The 59-year-old from Essex, Conn., former program director for alcohol/drug treatment at the state&apos;s Department of Corrections, bought his Typhoon in 2008 - and it turned out to be just the boat he was looking for. "For 14 years prior to 2008 I sailed and cruised on an F-27 trimaran," says Hall. "While it was a fun boat to sail, I wanted to get back to a boat that was less complicated and required less maintenance work. I have done a fair amount of cruising, from Florida to Maine [as well as] the Virgin Islands, on various types of sailboats, so I was ready to go back to day sailing and racing." The Cape Dory came up thanks to an old memory Hall had tucked away. "About 20 years ago, I had sailed on a friend&apos;s Typhoon in New Haven (Conn.) harbor on a stormy day," Hall says. "I liked the feel of the boat." 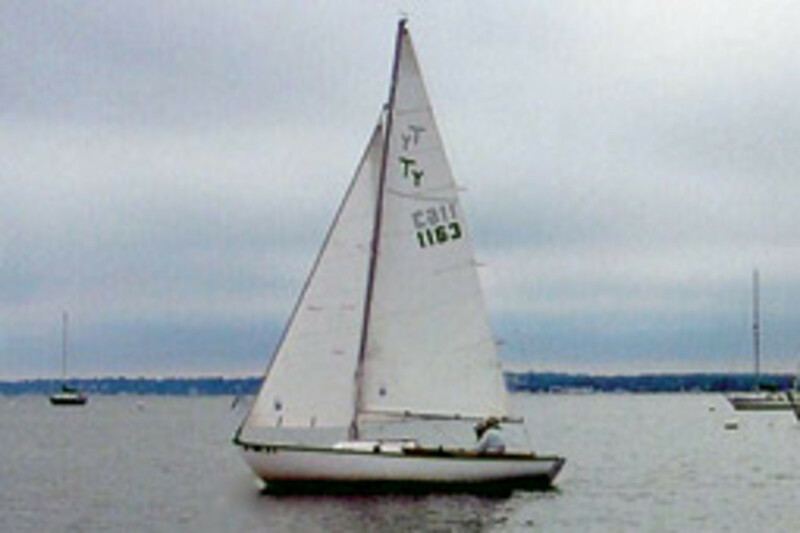 In 2008 Hall found a 1976 Typhoon Weekender (the overnighter model) in Marblehead, Mass., through the Cape Dory Sailboat Owners Association and its Web site. He and his wife, Barbara, rode up, had a sail and were sold. "We took it outside of Salem Harbor for a couple of hours," Hall recalls. "And even though it was a light air day, she had the feel of a big boat when she went through the motorboat wakes." The Weekender model featured a small, enclosed cabin with a pair of V-berths forward and quarter berths aft and a portable head, along with room for a cooler and plenty of storage. The cockpit could accommodate four adults and the small foredeck came in handy when handling anchor or mooring. The boat was in excellent condition, came with a 3.4-hp outboard and cost around $6,500. Good deal, say Hall. "She has definitely fulfilled her mission," he says with enthusiasm. "This past season  from early May to late September, I probably sailed at least two or three times a week. 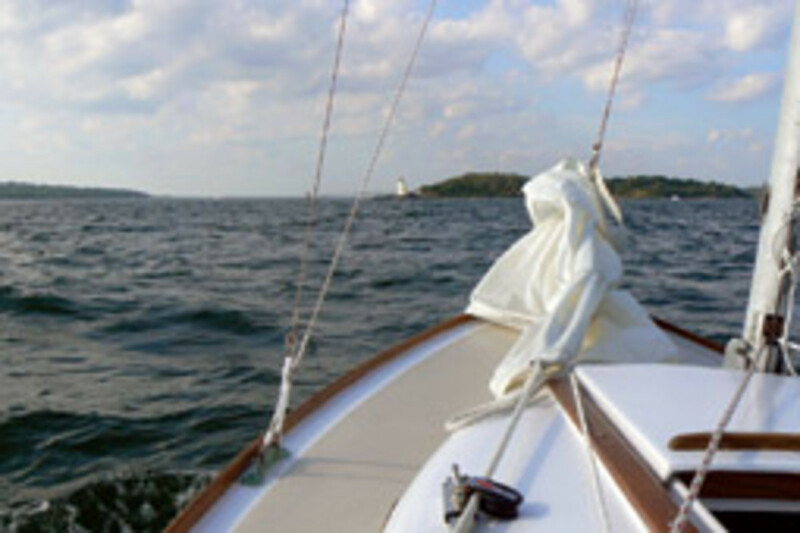 I keep the boat on a mooring at the New Haven Yacht Club and usually day-sail the boat in New Haven harbor or sometimes sail down to Milford [Conn.] I usually go sailing for three or four hours each time." Although a heavy boat, at 2,000 pounds the Typhoon sails well in light air with its sloop rig and a 170 percent genoa. In 10 knots of wind Hall averages 5-6 knots and the ride is comfortable, he says. But the real fun comes when the breeze pipes up. That&apos;s when the Typhoon stands out in the small-craft sailing fleet. "The boat handles exceptionally well when the wind increases to 15 or 20 knots," says Hall. "The strongest wind that I sailed in was in a race when it was blowing 20 to 23 knots. I had a full main with a reef in the jib and she handled it very well, with a moderate heel. The rudder is well-balanced with little windward helm." The Typhoon is also at home on the race course. Hall (who&apos;s raced Blue Jays, Jet14s, Thistles, a J24, Ynglings and Ideal 18s) competes in a club PHRF fleet, where his Typhoon holds its own against bigger boats, especially in rough weather. "The boat has a high handicap rating and larger boats have to give me time," he says. All in all, the Typhoon seems like the perfect boat right now, says Hall. "[This season] was a lot of fun," he says. "I remember not wanting to stop sailing on some of the more beautiful days this past summer and I&apos;m already looking forward to sailing next summer." It&apos;s all about getting out on the water and the Typhoon makes that easy. 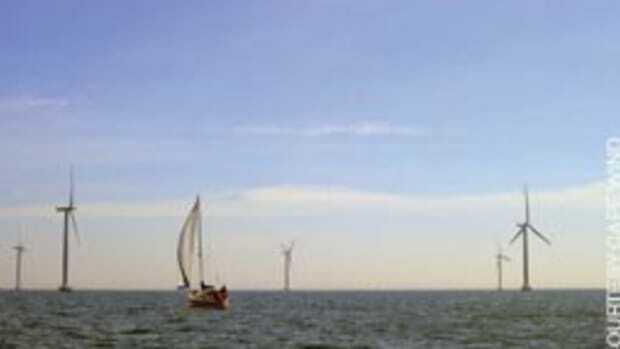 "Sailing is an exciting and relaxing sport," says Hall, a New Jersey native. "And having sailed various types of boats, I&apos;ve found that it does not matter what size boat you sail because the experience of sailing is the same." And that&apos;s just what the Typhoon, the little Bay State legend, delivers. Check out the Typhoon and other Cape Dory boats (including powerboats) at the Cape Dory Sailboat Owners Association: www.capedory.org. - $500 and some elbow grease does the job. These articles originally appeared in the New England Home Waters Section of the February 2010 issue.